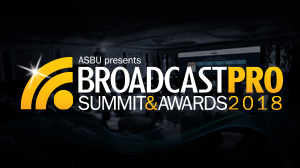 CEOs get together at BroadcastPro’s inaugural Anti-piracy conference. 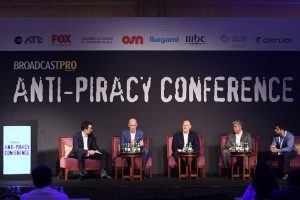 From lax enforcement in the region to big perpetrators in Silicon Valley, CEOs of MENA-based broadcasters offered a candid breakdown of the menace of piracy at BroadcastPro ME’s inaugural Anti-Piracy Conference held on May 2 at the Ritz-Carlton in Dubai. The Middle East is notorious for its piracy, but also for not having enough regulation in place to protect the media business. A 2017 report from MUSO, for instance, points out that the UAE is ranked “29 in the world for the volume of TV piracy consumed, seeing a total of 750.90 million visits to all piracy sites in 2017”. Egypt and Saudi Arabia have even worse records. 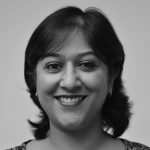 Over the last couple of years, the MENA Anti-Piracy Coalition, which launched in 2014, has had a number of successes in closing down pirate channels thanks to close collaboration between partners, which mainly comprise broadcasters, satellite operators, production and distribution companies, telcos and more recently anti-piracy firms. 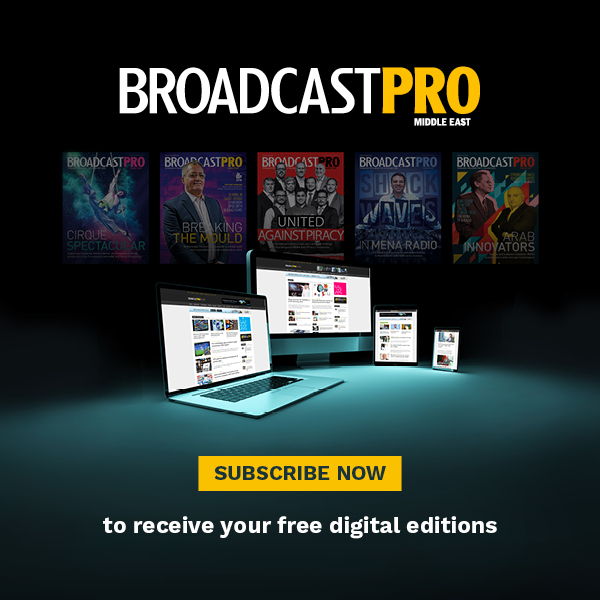 The broadcasters have put their legal teams to work, undertaken significant investigation in most cases and spent time, money and effort to bring pirates to book. But is it enough? 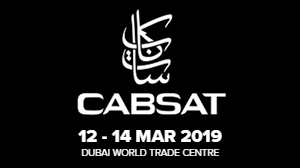 At BroadcastPro Middle East’s inaugural anti-piracy conference, the CEO panel, moderated by Christophe Firth, Principal at AT Kearney Middle East, was unified in its call for regulators to up their game in the MENA region. 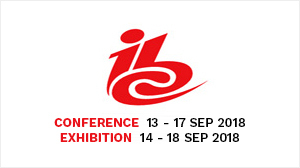 Sam Barnett, CEO of MBC Group, pointed out that regulation is currently the single biggest missing element in the fight against piracy. “Today, we can take down a site in three to six weeks, which is good. The challenge is it takes them only an hour to return with another name. 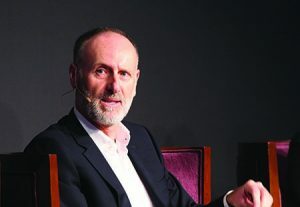 We now need the support of regulators to ensure they stay down … People are very keen on building media cities, studios and infrastructure which supports the production and development of media assets, but without the protection of those assets, you are limiting the development of what should be a vibrant and successful media industry in the Middle East,” Barnett said. 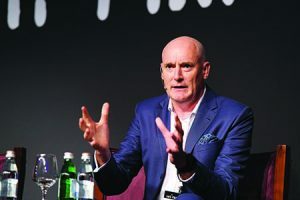 Martin Stewart, CEO of OSN, agreed, reiterating that “the tolerance of piracy in this region is damaging to everyone” and must be curtailed “in order to have a successful media sector”. He reiterated the economic implications in terms of the jobs at risk from online piracy. 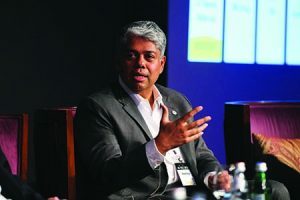 Mukund Cairae, CEO of Zee Middle East, asked why the same measures put in place to curtail traffic violations couldn’t be enforced where content rights are concerned. Mukund Cairae, CEO of Zee Middle East. Barnett stepped in at this point to add that “enforcement should be on the supply side and not on the demand”. Firth introduced the notion that there are three types of pirate users: unashamed, where they knowingly use an illegal service and have no issue with doing so; unaware, where they are using an illegal service but do not know it is a pirate one; and unwilling, where they knowingly use a pirate service and would prefer to use a legal one, but there is no legal service available with the content, features or price that meets their needs. 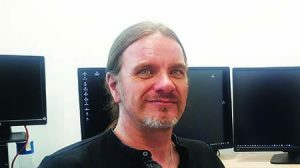 Firth pointed out that content owners and service providers are spending a lot of effort blocking unashamed users and educating unaware users, and questioned whether they are doing enough to address unwilling users. 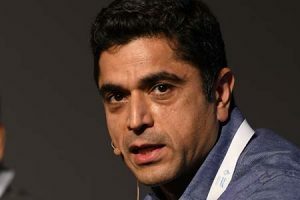 As the only CEO representing an exclusive OTT platform, Firth asked Maaz Sheikh, CEO of Starz Play, if the streaming service was doing enough with its packages and pricing to make illegal services irrelevant. While agreeing that packages tailored to meet the cultural and linguistic needs of the region served as a differentiator and acknowledging the success stories of the anti-piracy coalition, Sheikh queried why the studios, Google and Apple did not share the burden of curtailing piracy along with telcos, satellite operators and broadcasters, as most people tend to download content from the internet. Maaz Sheikh, CEO of Starz Play. He pointed out that legal platforms like Starz Play have had to provide “heaps of information” to the likes of Google and Apple to prove they had the rights to the content they have paid for, while studios turn a blind eye to their content being downloaded illegally on apps available through these platforms. Barnett agreed that packaging content for local consumers certainly helped make a regional broadcaster’s bouquet more attractive than illegal alternatives. He pointed out that today’s kids are not going to websites to download content, but “to illegal apps that are easily available” on the internet. “This is why regulation and cooperation with telcos is important. But it is equally important for the studios to work with Google and Apple to block these apps,” he reiterated. Barnett took the opportunity to point out that MBC has also tried to differentiate its user experience by tailoring it for a regional audience and highlighted the network’s recent kids’ VOD offering, which he says will be particularly attractive to parents concerned about their children downloading pirated content which may also have content deemed unsafe. “We package our content for local values. If you watch a movie with your family, you won’t be embarrassed. That’s a value-add, because we chop out what’s embarrassing. You don’t get that on the pirate sites. People may watch pirated content, but they are often concerned about what content their kids can watch, and on a pirated site, nothing is censored. 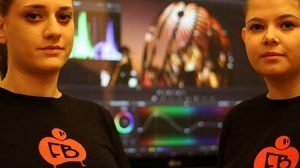 We have launched Goboz, which is our kids’ VOD, and I suspect that people who download movies for themselves will be much more willing to pay money for Goboz so they can guarantee that what their children are watching is safe,” commented Barnett. He cited a recent example, where what looked like a harmless version of Peppa Pig on YouTube had some objectionable content in the middle of the video, whereas packages from legitimate sources would protect children from such material. Martin Stewart, CEO of OSN. OSN’s Stewart pointed out that the pay TV network had a similar discussion with the studios, but it was futile. He also decried how a lot of the premium content that OSN pays hundreds of thousands of dollars for turns up on YouTube and “then we have to go through the same tortuous process of taking them down, and it takes weeks”. Stewart brought the discussion back to regulation, raising the very valid point that if certain videos, VoIP services and the like have been blocked effectively in this region and never show up on YouTube or Google, then it’s evident that such content can be blocked but is being overlooked because regulators don’t view content piracy as a serious criminal offence. “It’s just a matter of will. If you take it seriously and think it is important to protect intellectual property and genuinely want the media sector to properly flourish, you can make it happen. You don’t make it happen at present because you don’t think it’s important,” he commented. Cairae explained that an Indian anti-piracy coalition seems to be successfully taking down 100,000 links every month. The issue, he pointed out, is new entities coming to the region and having to start a fresh dialogue with them and waste another two to three years in the process. The panel also decried the sale of Kodi and similar illegal boxes that can easily be bought on shopping sites in the region. Stewart mentioned at this point that while regulation and customer experience, including the price and the packaging designed for a safe experience, are relevant, awareness and education are equally important. Taking the example of the controversial BeoutQ box, which is readily available side by side with legal boxes in some markets, Firth queried if enough is being done by law enforcement agencies to contain this. “Governments have to decide what their priorities are. 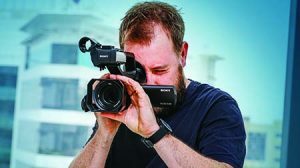 Most of the countries that we operate in say they want to support the media sector, and places like the UAE are doing this, but if BeoutQ is able to go into countries and steal huge amounts of content, that ultimately weakens the sector,” Barnett said, but he also added that the coalition has had many success stories through collaboration. Barnett cited the example of MX-1, a new entry into the MENA market, which is selling capacity to some channels identified as allegedly running illegal content. “They have 8-12 pirate channels and we sent them notices saying some of the channels on their platform are pirating content, but they say it has nothing to do with them because they are just providing a platform. Firth then queried if set-topbox piracy was still relevant today or was diminishing in importance as compared to piracy on streaming services. Stewart pointed out that working with good encryption providers has always been vitally important. 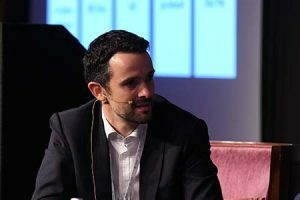 Firth deftly brought the discussion to the music industry, commenting that this sector seems to have cracked the code to fighting piracy and making money. “2018 is the fourth year in a row that the music sector is growing as a whole. This hasn’t happened since the 1990s. After many years focusing their efforts on litigation and other measures to fight piracy, music label executives shifted their efforts to refining themselves and their business models for the new reality of the music sector, and have since been doing very well. But downstream companies distributing music locally have suffered as a result of these new business models. Is there a lesson here for the video sector? 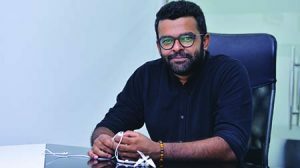 Are the content owners and studios going to change the way they do business, and what implication will that have for local broadcasters and distributors?” he questioned. Cairae stepped in at this point to say that the length of a music piece, as opposed to video content, puts the latter at a disadvantage. Stewart, who was in the music business at one point of his career, says there are some lessons to be learned from the music industry. “From a price and experience POV, the music business realised that it is better to get five bucks a month from a subscription streaming service or get people to buy 99 cents for a single and massively increase the percentage of people who purchase the music. This is because in the ’80s and ’90s, only a minority could afford to buy full albums so they lowered the price and increased the access and affordability. So the number of people consuming music also increased. Clearly, there are several variables in the piracy debate and not all of them are in black and white. For instance, back episodes of popular content are not always available on legal platforms, and people tend to source them from illegal platforms. With time running out, Firth questioned if things would get better in five years. Barnett said he was hopeful the regulators would step up and improve significantly what they are doing. Stewart said his greatest wish would be to see each country in the region hit their five- or 10- year vision. To do that, “they will need a vibrant media economy to be part of their overall success, so hopefully they will execute on what is in those documents”. Christophe Firth, Principal at AT Kearney Middle East. Cairae commented that there are proven successes with coalitions working and talking in one voice to regulators, and the combination of these with technology will definitely help beat the pirates. Sheikh reiterated that the issue of online streaming and piracy will not be resolved until it is addressed in Silicon Valley and Hollywood. A significant question from the audience was whether advertisers should also stay away from pirate sites. “Pirates are in this for the money, so are there any efforts to cut that cash flow?” an attendee asked. 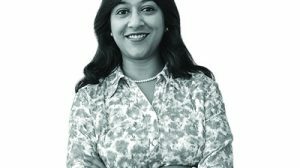 While Cairae said search engines were cognisant of these issues and had started a new set of algorithms, other panellists said advertisers and digital media agencies should make a conscious effort to eliminate illegal panels from their list of platforms for advertising. Sheikh left the crowd with a very pertinent but disconcerting issue at this point, commenting that the move from linear channels primarily to digital advertising took place because platforms supposedly had a more detailed understanding of the profile of their viewers. “The whole idea with digital advertising was to control your message based on the profile of your audience. We were not getting that with linear. But now, there is so much secrecy around who your ads are reaching and what platforms and what publishers and what websites your ads are ending up on. I can’t say I can only advertise on these three websites. I don’t go to Google and say I want my ads only on these three publishers, because that’s not how it works.